Otakuthon is the second biggest convention in Montreal, after the Comiccon. While the two are very similar on the surface, Otakuthon, predictably, focuses more on otaku culture; thus anime, manga and cosplay form the holy trinity of what the convention is about. One thing is for sure: it is the number one destination for Montreal cosplay fanatics every year. That being said, the two big conventions sure seem the same on the surface. Attending both kind of feels like attending the same thing twice, with the second (Otakuthon) being a slightly smaller version of the first: similar layout, same merchants, a lot of the same. However, for the past few years, Otakuthon has had something that the Comiccon doesn’t have: one hell of a video game room. First, I have to mention something: the waiting lines for daily tickets was horrendous. 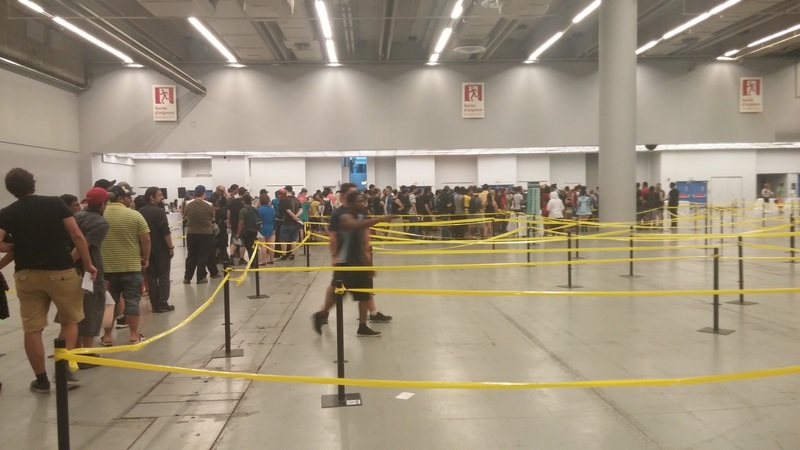 I went on Saturday to grab my media pass, and even though it was past 1PM, the waiting line seemed strangely long. I asked the person who gave me my pass, and they confirmed that they hired less people this year, that the waiting time was a solid hour, and was even longer in the morning. On Sunday, I was with a friend of mine, waiting for a day ticket. Even though it was 2PM and the convention closes at 5, it took us nearly an hour to get through! This is unacceptable, and I sure hope that they hire more people next year. That being said, most of my time at the con was spent in the gaming room. Just like last year’s, I found it very well done. 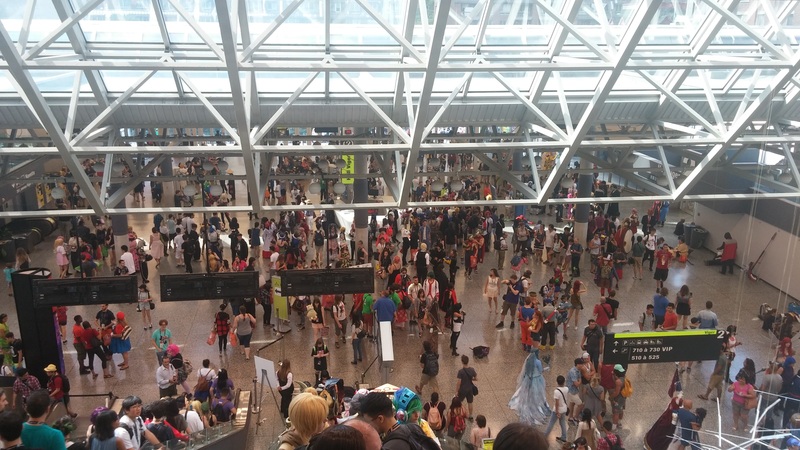 It feels like one of Otakuthon’s most popular attractions, and was even more packed this year compared to the last. There’s a wide variety of games to play, tournaments to take part in, chairs to chill on and people to mingle with. There’s also a few merchant booths in there, either showing off an exclusive new game or product, or selling hardware. Feels like there’s something for every gamer. The first thing you noticed when entering the gaming room was the JoJo’s Bizarre Adventure: Eyes of Heaven area. Someone was giving out promotional posters for the new game. 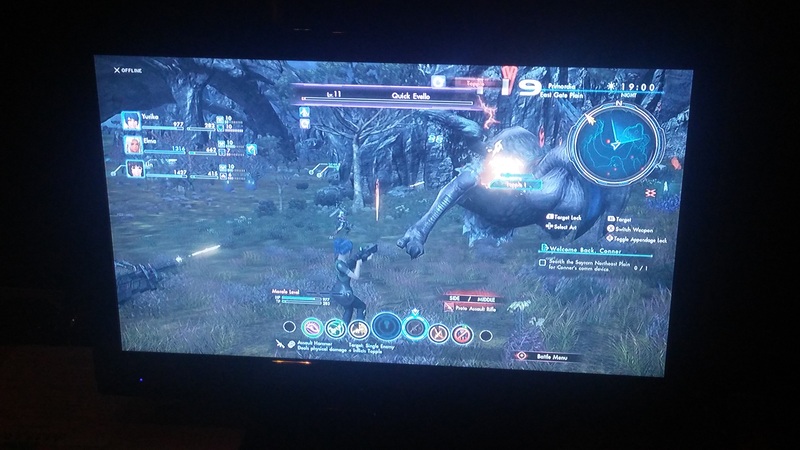 Luckily for me, I’m a big fan of the series, so that was the best possible welcome I could get. The game itself is a 3D brawler, the type I would’ve loved when I was younger. Nowadays, however, I prefer my games to have more substance to them. Still, if you’re into this kind of stuff, this might be right up your alley. A lot of the booths inside the video game room were set up in such a way that the games rotated based on time. 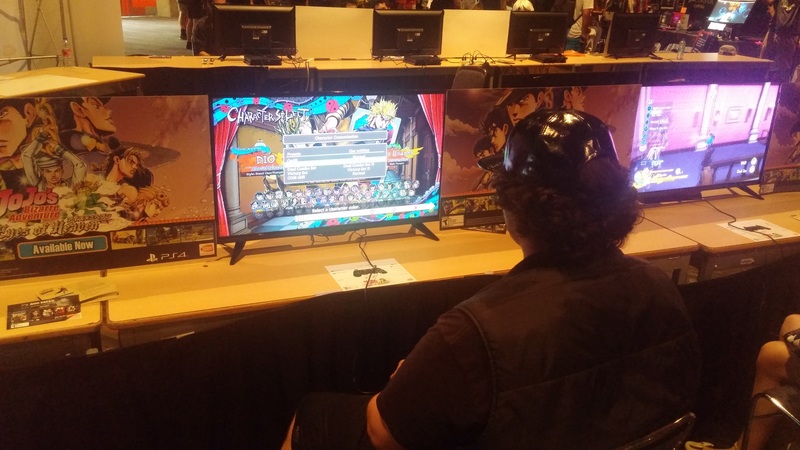 On Sunday, one of the booths was set up as the JRPG Corner, and a few gamers were playing Xenoblade Chronicles. At the same time there was also a Street Fighter V tournament happening, which was one of the biggest attractions. There was also a Tetris competition in another part of the room. Everywhere you looked, something interesting was happening. Virtual Reality is Now, People. Another extremely popular booth was the MSI VR booth, where people could test the smoking hot HTC Vive VR headset. As most of you know, the Vive is currently the best VR headset you can get, and people were lining up in droves to try it out. I wouldn’t say that it was the biggest attraction, but it’s the only one that had a lineup. Of course only one person can try the headset, so the others had to wait. What else? 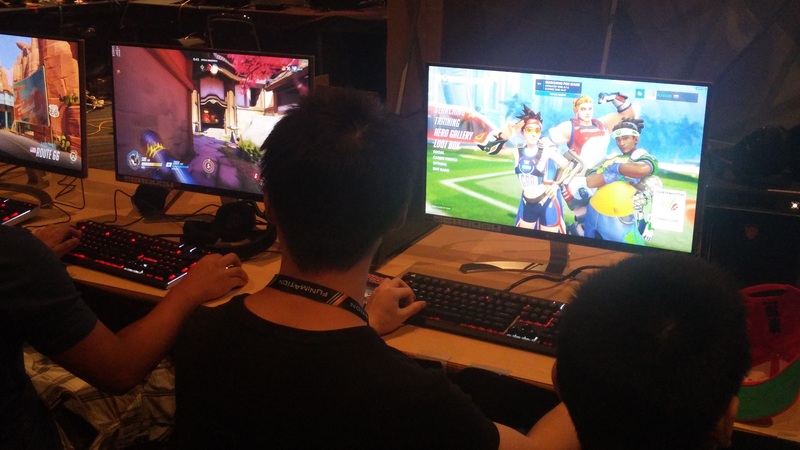 Well of course, players could sit down and play Overwatch, probably THE game of the moment. There was also, like last year, a huge round section in one corner where people could play League of Legends. There was also, of course, a Pokémon booth where a lot of people huddled. Finally, a lot of PC hardware was up for demonstration. 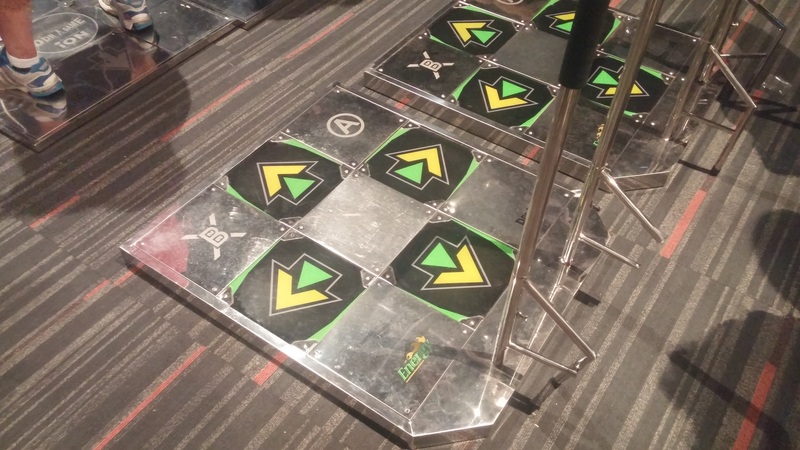 Oh and, don’t forget the Dance Dance Revolution section. DDR feels like a relic of times gone by, but is still tremendous fun at parties. The dancing games that replaced DDR (Just Dance, Dance Central) are great in their own way, but lack the ridiculous party fun of DDR, in my opinion. There’s something to be said about nearly indestructible metal mats, too. These sure brought the nostalgia in droves. All in all, Otakuthon’s video game room seems like it was a success again this year, and let’s hope they do even more amazing things with it in 2017. Next ArticleGoGCast 77 – Twitch streamer and content creator Kwame “Temp0″ Mensah!